When Tuthill Plastics needed to solve a molding issue with one of their two cavity molds, they turned to Northern Lights Solutions Inc. for help. After receiving step files from Tuthill Plastics we build the molding system in Autodesk Moldflow Advisor. 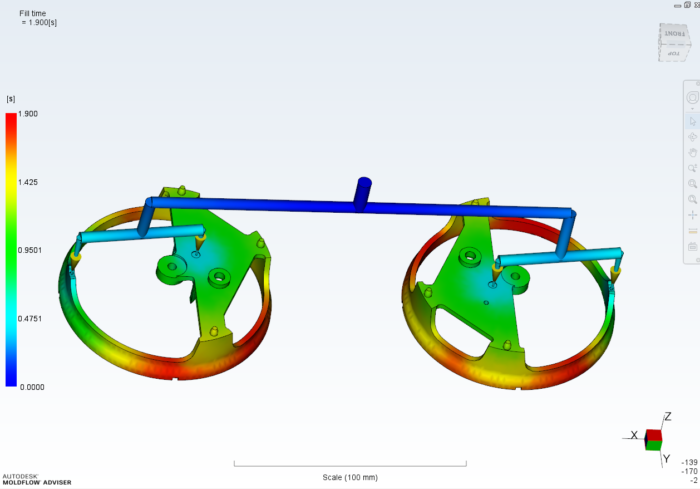 The analysis visualization tools in the software allowed better understand how the parts were being injection molded and recommend ways to improve the injection molding process to reduce quality issues associated with the molding. It was a pleasure working with Tuthill Plastics and we look forward to a great relationship with them moving forward.